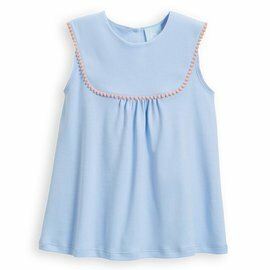 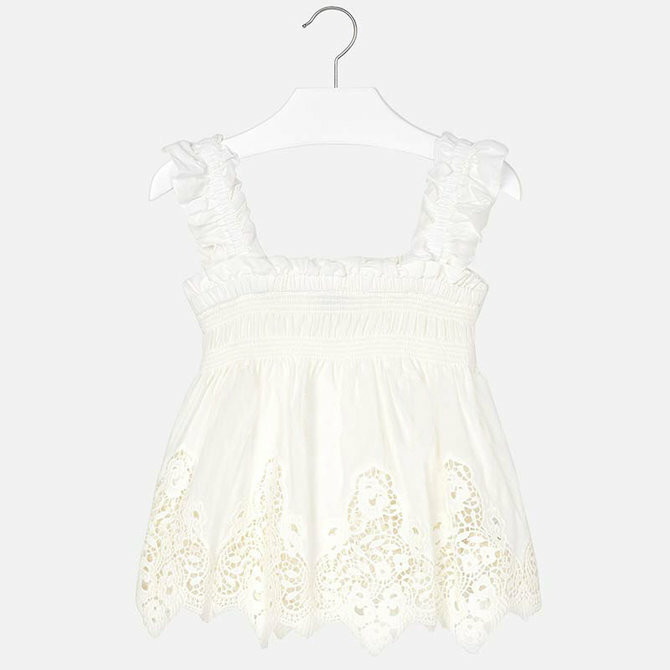 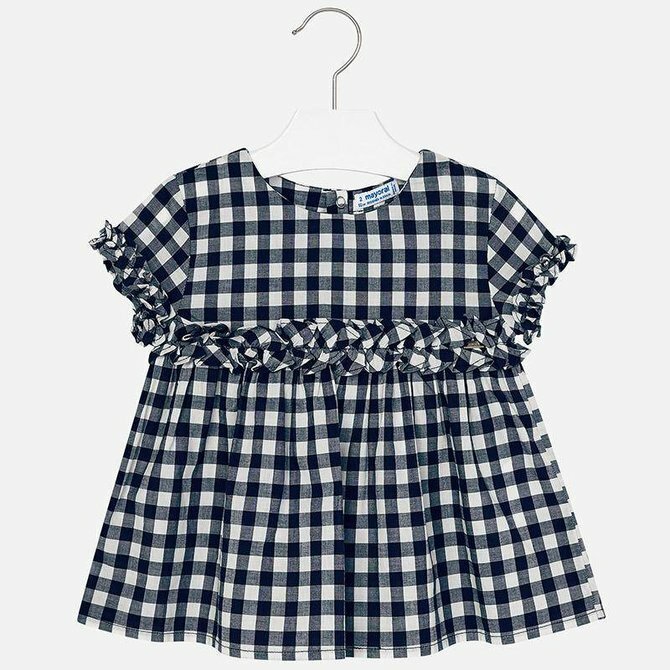 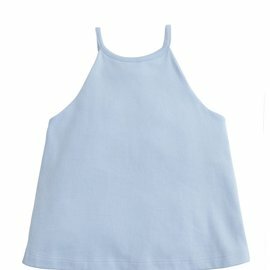 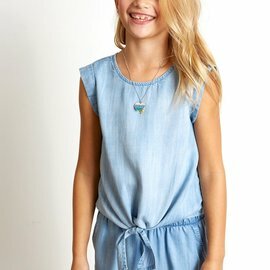 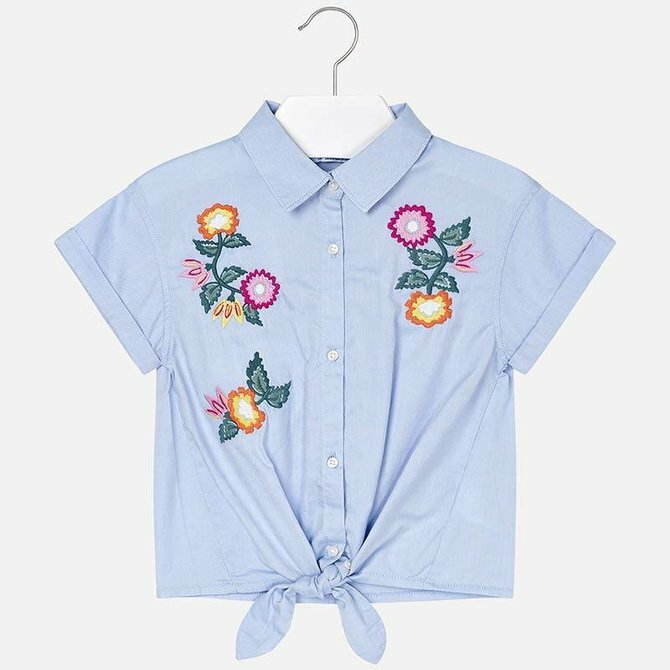 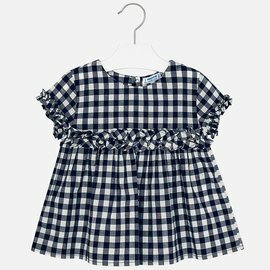 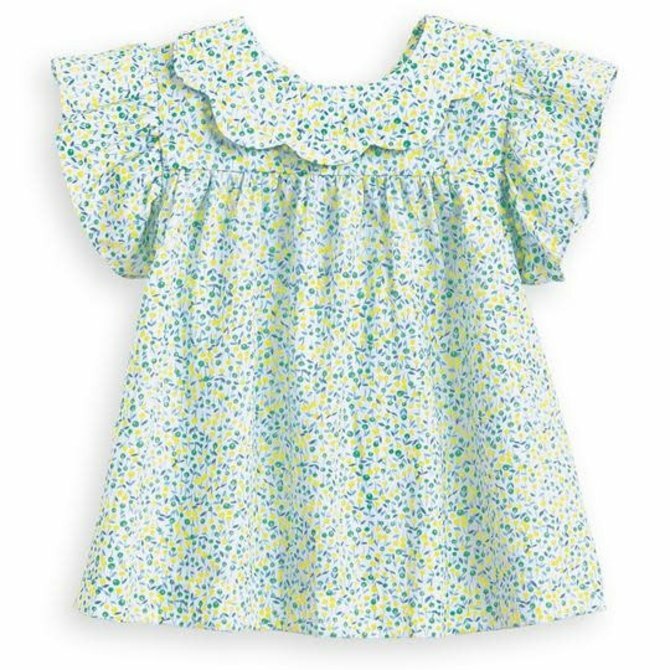 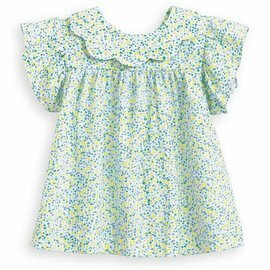 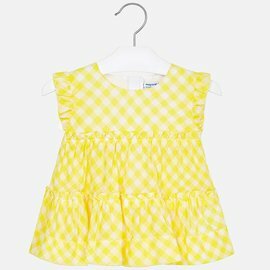 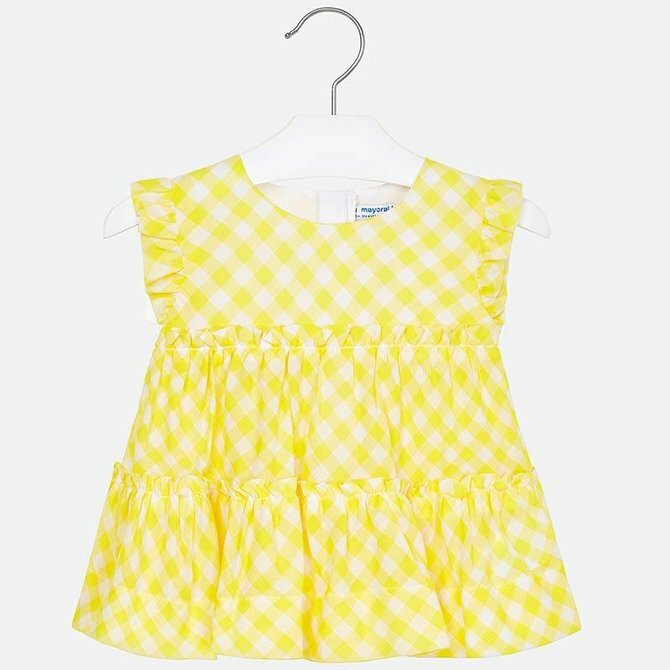 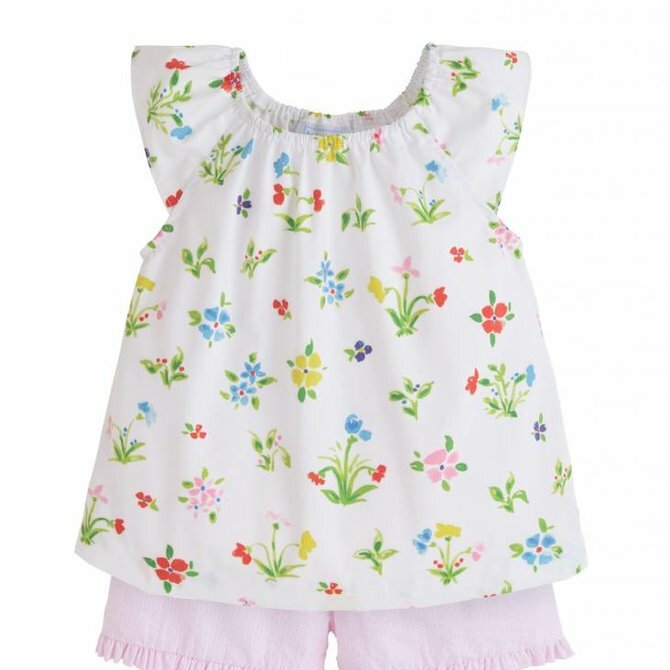 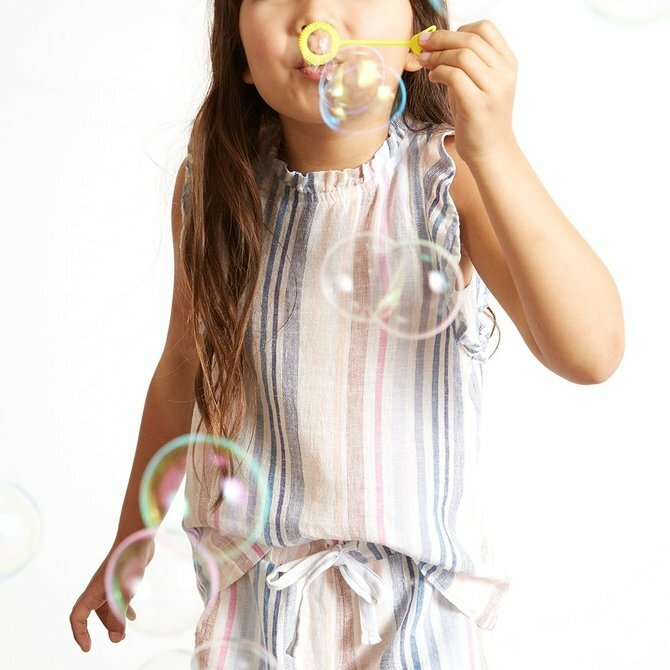 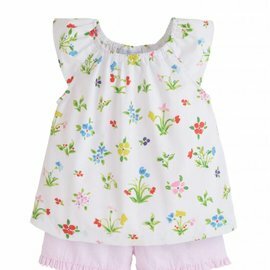 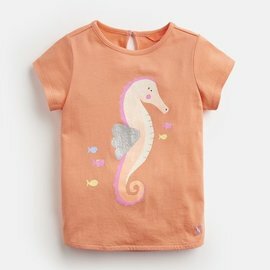 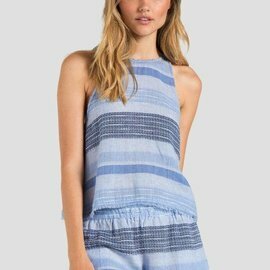 This pretty-as-a-picture top is perfect for every activity, from running around the garden to stealing the show at her best friend’s birthday party. 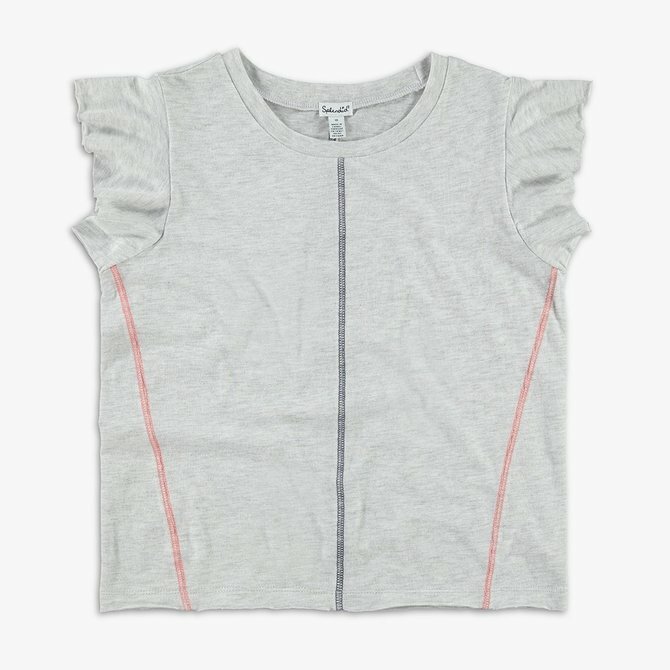 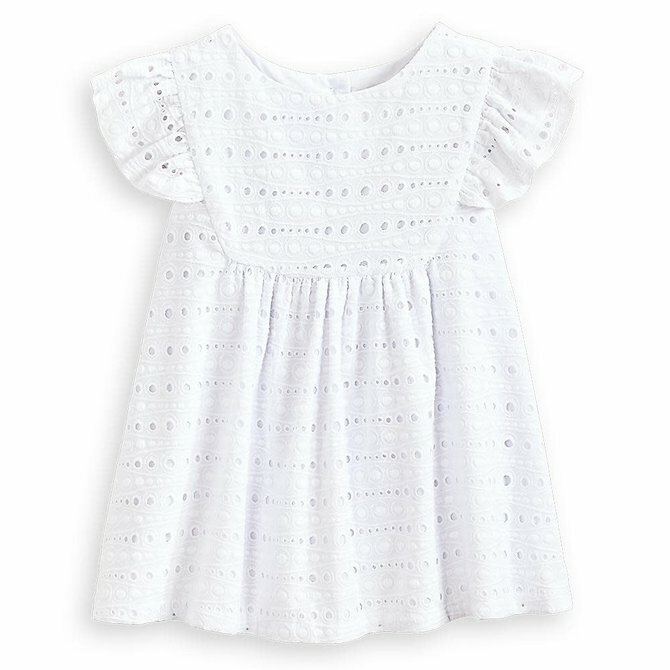 Crafted from lightweight cotton it’s sure to keep her cool and comfortable all season long. 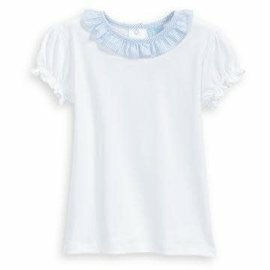 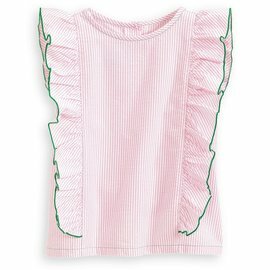 Short sleeve ruffle top made from soft knit. 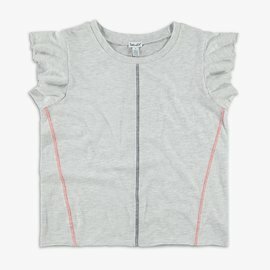 Designed with contrast stitching and raw edge details at the sleeves and hem. 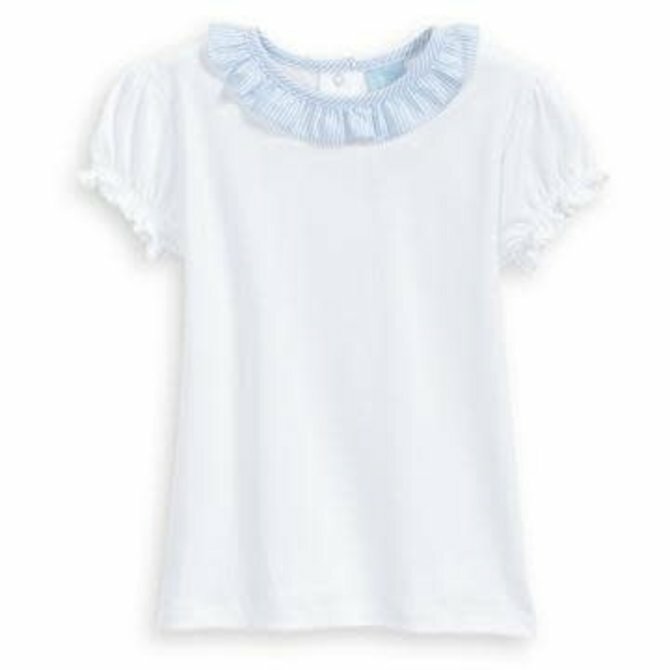 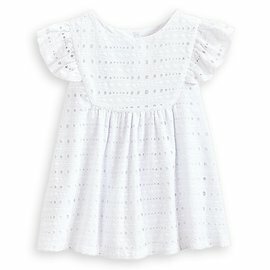 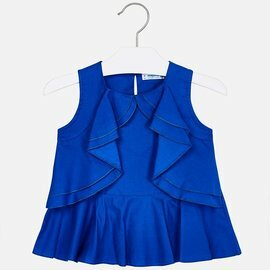 Simple yet stylish, this button back top will pair well with playful shorts and sandals for a day at the park. 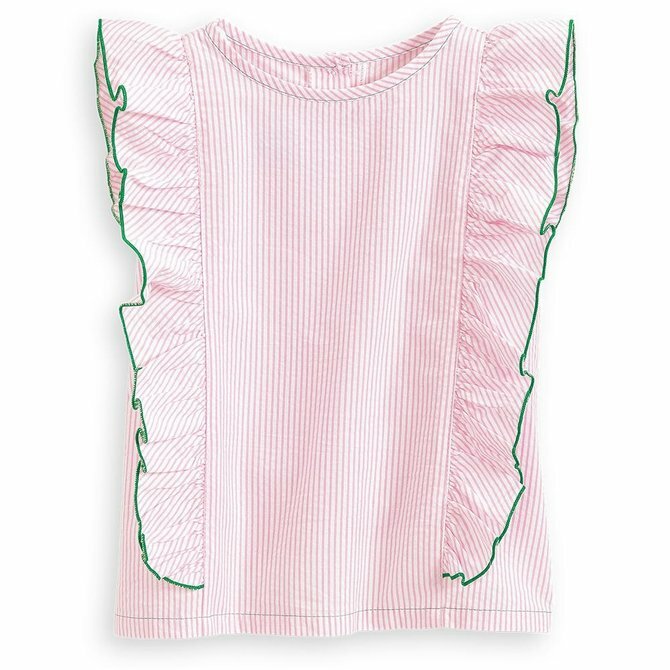 Colorful and cute, the Ruffle Tank is a sweet tank with ruffle sleeve detail and a multi-colored statement stripe. 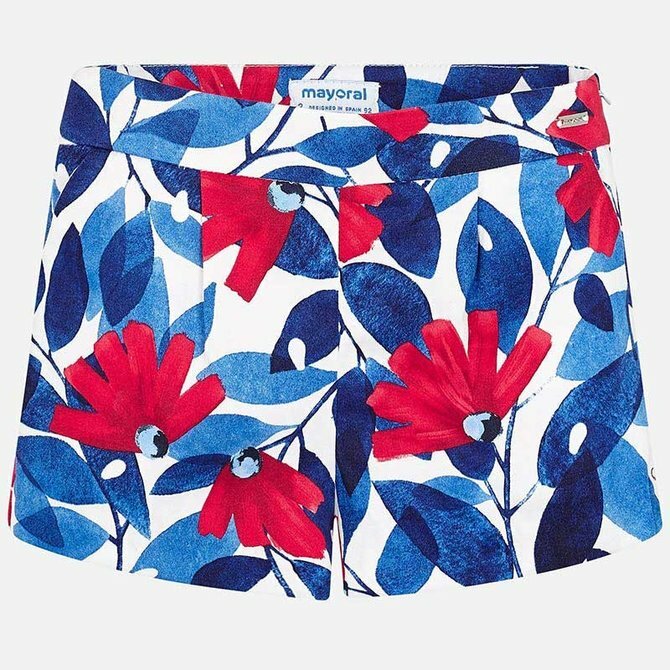 Complete the set with the Easy Short. 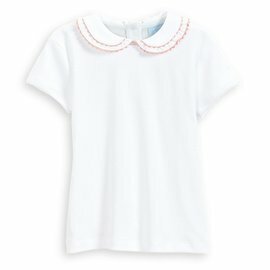 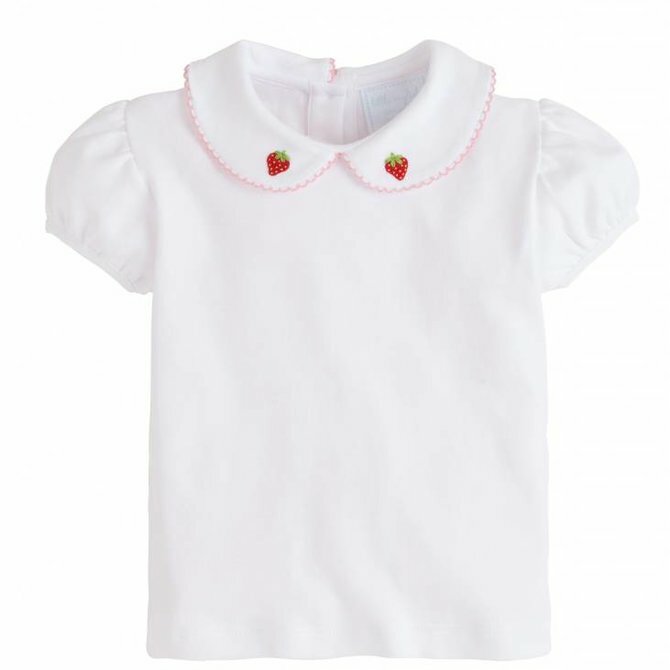 The Tie Front Shell Top is an easy short sleeve with a playful tie front waist. 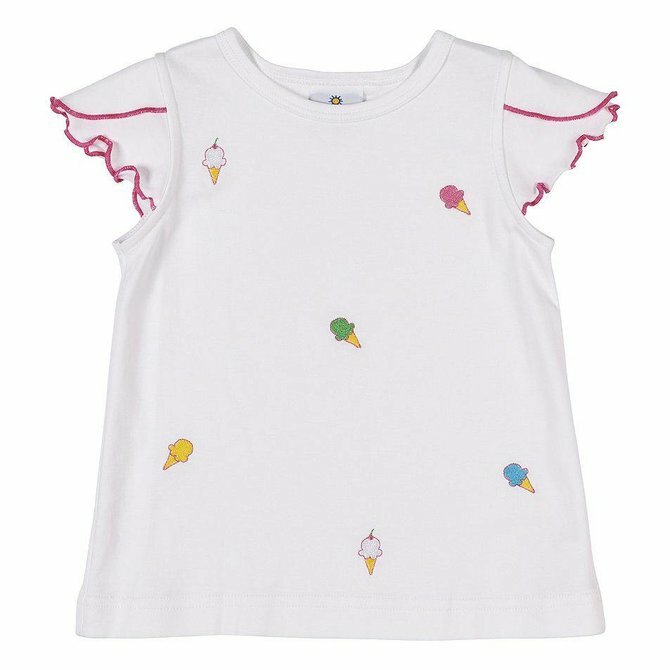 I scream, you scream, we all scream for ice cream! 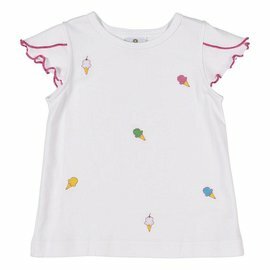 Scattered cones are embroidered across the front of this cotton cool top with petal sleeves. 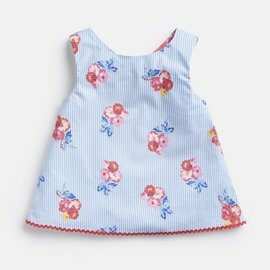 Just right for the next summer event.